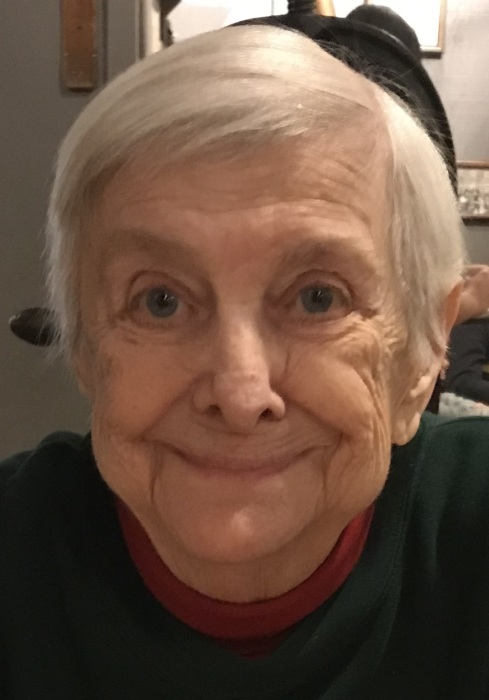 Nancy L. Fairbee, 80, of Ravenna passed away peacefully at UH Portage on Monday, March 4, 2019 surrounded by family following a long and courageous battle with failing health. She was born October 10, 1938 in Ravenna to Harry and Dorris (Cunningham) Swords, both of whom preceded her in death. She was a 1956 graduate of James A Garfield High School in Garrettsville. She enjoyed spending time at the ocean and she was an avid reader who particularly enjoyed James Patterson books. She spent most of her life caring for children, first her own then as a nanny, which she continued up until health issues made this too difficult. She will be greatly missed by her children Lisa Kurtzman, Scott (Kim) Fairbee, Sharon (Jim) York, Randal (Johnna) Fairbee, Eric (Teri)Fairbee and Melissa Hall as well as her sisters Shirley (Bill) Suntheimer and Donna (Kenny) Rarick. She was a grammie to 15 grandchildren and 14 great grandchildren. Her memory will forever be cherished by her family, her friends at Bryn Mawr Glen and Gloria Concoby, her home health aide and friend. Honoring her wishes, cremation has taken place. A memorial service will be held at Shorts Spicer Crislip Funeral Home at 141 N Meridian St in Ravenna on Saturday, March 30, 2019 at 11 am with Reverend Douglas Denton officiating.